So have you been doing any set-jetting this year? Set-jetting is the new craze, according to the Daily Mail. 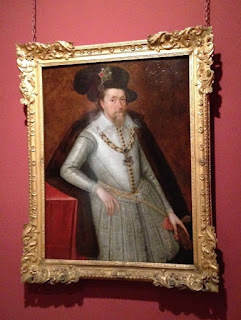 Although 'craze' might be overdoing it - it basically involves going around Somerset and Cornwall visiting the stately homes where Wolf Hall was filmed. Montacute House near Yeovil stood in for Greenwich Palace, which was Henry VIII's main London residence - all those scenes of jousting and archery with Mark Rylance looking pensive next to a hedge were filmed at Montacute. Here's a picture of Elinor Glyn. Let's take a moment to thank her for not burning the place to the ground when she realised Curzon had proposed to someone else, after she had spent months renovating his freezing house for him. In 1975, in a continued bid to furnish itself, Montacute became the first NT property to become an 'outpost' of the National Portrait Gallery. I was expecting to see a few second tier pictures that the NPG didn't want - the Krankies or something - but no. 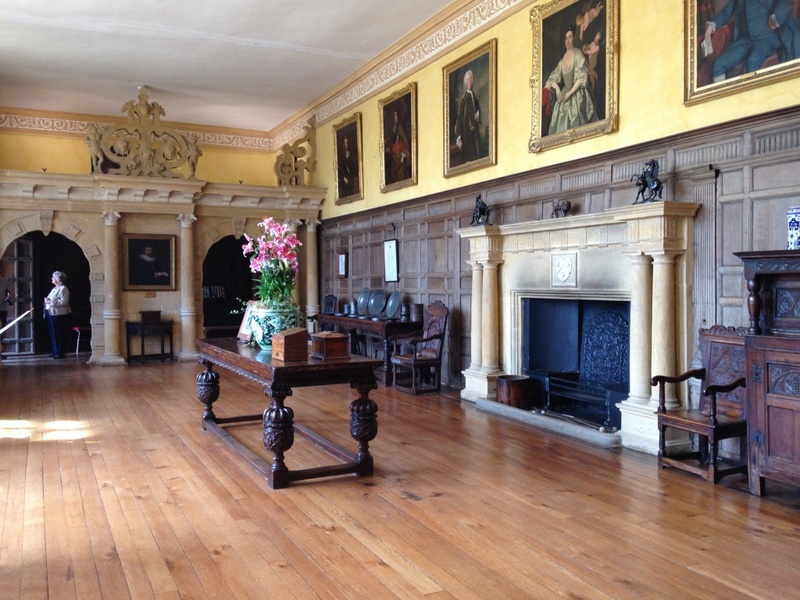 The entire top floor has been turned into an EXCELLENT gallery, with rooms dedicated to the Jacobean court, the Tudor court and so on. look anything like Helena Bonham-Carter. which just proves that we give criminals far too much media coverage. and sending him off to be eviscerated. I was absolutely FASCINATED by the hedges at Montacute. To use a technical gardening term, they're all bobbly. I decided that at some point they had been topiaryied into a depiction of the Nativity or the cast of EastEnders who might have killed Lucy Beale or something but the gardener had eventually thought 'sod this' and let it grow out. I also learned about the Nine Worthies today. Regular viewers will not be surprised that I had never even heard of them before. I sometimes wonder if I dreamt going to school. Anyway, there are statues of the Nine Worthies over the entrance at Montacute and they are; Hector, Alexander the Great, Julius Caesar, Joshua, David, Judas Maccabeus, King Arthur, Charlemagne and Godfrey of Bouillon. I will admit that whenever the National Trust teaches me something like this, I instinctively imagine myself on a quiz show and the presenter saying "so, Sarah, just one question lies between you and today's RECORD jackpot...Sarah, for a squillion pounds, who were the Nine Worthies?" This is ridiculous of course, because no quiz show I watch asks these sorts of questions - it's all "what type of fruit did Eve give to Adam?" or "what is the opposite of dark?" - unless you count University Challenge, which I am not eligible for on account of not being at university anymore. Back in March, I had to do some filming for work. I was given a small room and a producer and told to interview a few customers. The day before the filming, I saw the room for 5 seconds, said "that'll do" and headed off for my dinner while the producer made worried noises. The next day, I turned up to find the room literally full of film crew and kit. The customers had to climb over boxes to sit in their interview chair and be filmed for 2 minutes. It was unbelievable. 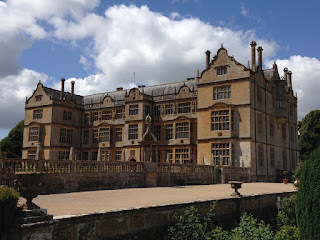 All this is a preamble to me telling you that I have ABSOLUTELY NO IDEA how they managed to film Wolf Hall at Montacute. It's big but it's not that big. And they had CANDLES!! 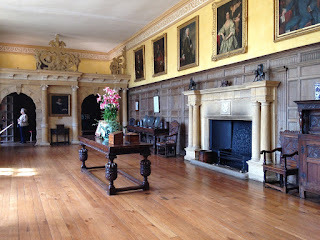 Can you imagine being in charge of Montacute when there are candles everywhere? I bet that person still wakes up in the middle of the night going "Dave, wake up! Damian Lewis left a candle in the Crimson Chamber in 2014! Get a bucket!" I don't think I would ever sleep again. 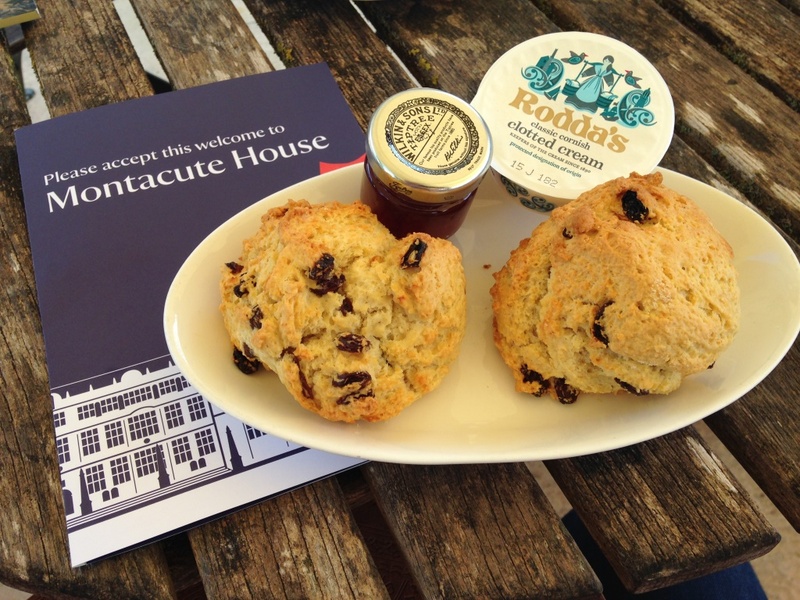 Experts were baffled last year by the strange happenings on the National Trust Scone Odyssey in July; nearly every property I visited delivered top class scones. Nobody could work out why July had proved to be a bumper month - it was crop circles all over again. But somebody alert Sky News, because it's happening all over again this year. There I was back in March, despairing that I would never see a decent scone again, and here I am in July declaring my FOURTH excellent scone on the trot. 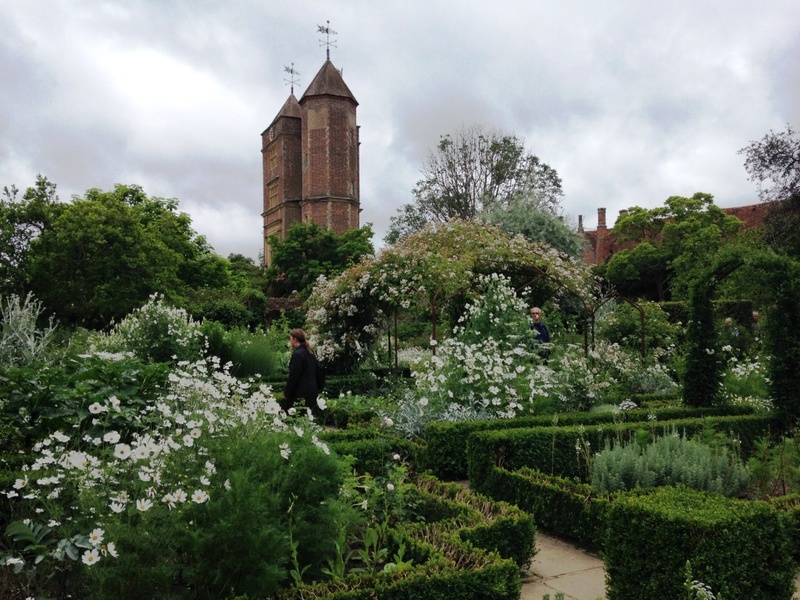 The previous three July stunners were Sissinghurst, Goddards, and Beningbrough. The Montacute scones were just excellent. Like the hedges, they were a bit bobbly but they were very fresh and I thoroughly enjoyed them. Anyway, if you happen to be on South West Trains and come across a Montacute guidebook - let me know. I need only three words to explain why I came to Goddards today: TERRY'S CHOCOLATE ORANGE. 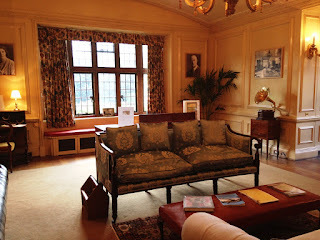 Because Goddards was the home of Noel Goddard Terry, creator of that most genius of products. Fact of the Day: the world record for eating a Terry's Chocolate Orange is 76 seconds. I'm sure I could do it faster but Fact of the Day #2 is that a Terry's Chocolate Orange contains 925 calories and I'm not that competitive. But Fact of the Day #3 is surely one of the greatest National Trust factettes of all time: before Terry's invented the Chocolate Orange, there was a Chocolate APPLE! I'm SERIOUS! Of all the things the National Trust has taught me, the shocking existence of a Terry's Chocolate Apple is surely the most stupendous. If they told me that Woolly Mammoths had once roamed the grounds at Petworth I would be less surprised. Anyway. I badly wanted to like Goddards today, mainly because the people/person that run/runs their Twitter account are/is so lovely. And that's always a worry, because I cannot lie to you and if it wasn't very good I would have to say so. 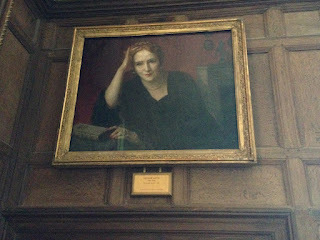 But as usual I was worrying for nothing, because Goddards is one of the best National Trust properties that I've ever visited. I would move in to Goddards tomorrow if the National Trust would let me. 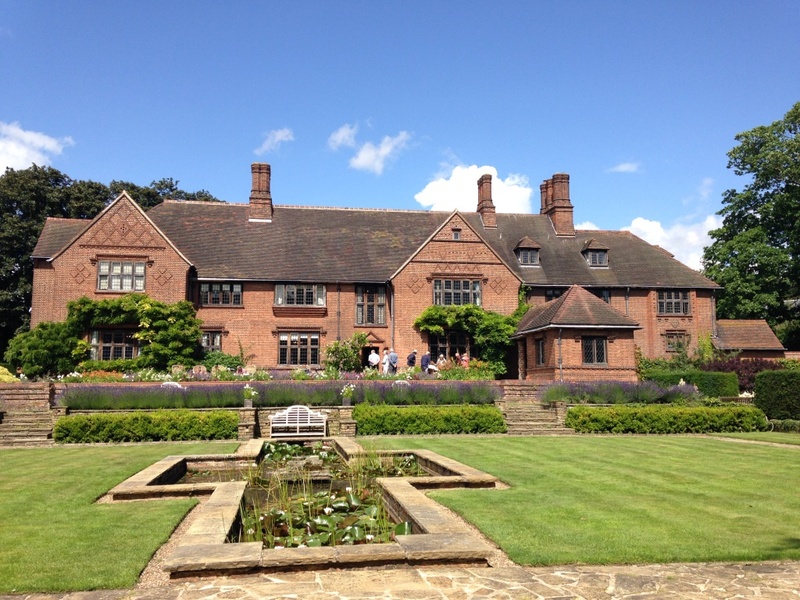 There was no guide book, so I'm a bit short on facts, but it was built in the 1920s by a Yorkshire architect called Walter Brierley and it feels like a real family home. What's even lovelier is that you're allowed to sit on the chairs and play games in the playroom and basically pretend you live there. 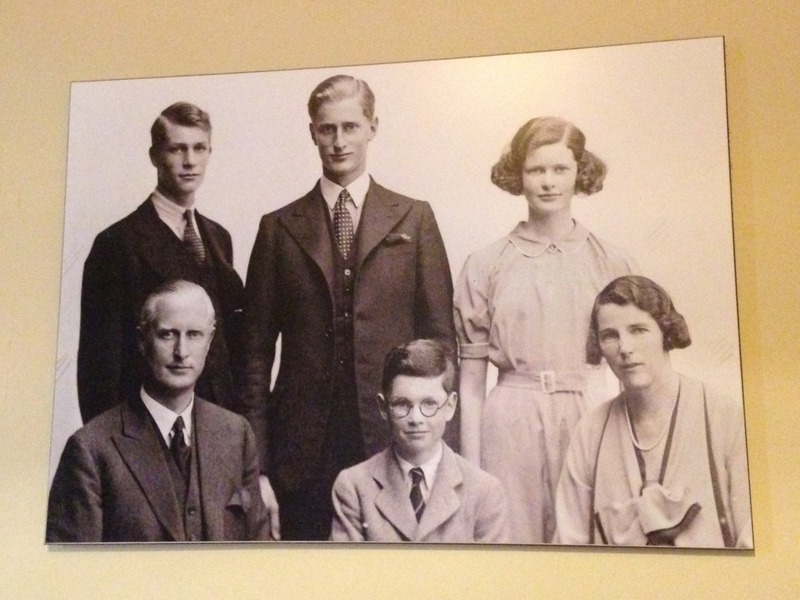 There's a really interesting exhibition on the first floor about the Terry family and their chocolate business. You can just about see the old factory from the garden. I was sad to learn that it was closed down in 2005 when Kraft moved production overseas - the Chocolate Orange is now made in Poland and Terry's All Gold in Belgium. There was a brilliant room guide called Aileen who explained it all to us. The history of Terry's goes as follows; Robert Berry originally opened a sweet shop in 1767. His niece married a chemist called Joseph Terry, who joined Robert's business and eventually took it over and renamed it Terry's of York. It was then that they started to produce chocolate - previously it had been boiled sweets. 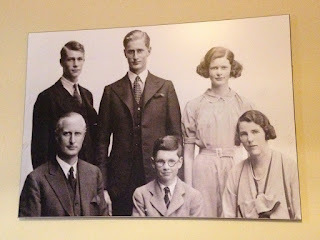 Noel Terry, Joseph's grandson, joined the business in 1923. It was during his time that the Chocolate Apple, the Chocolate Orange, and Terry's All Gold were invented. Terry's was then acquired by various large conglomerates, with Kraft taking over in the early 1990s. I think this is one of the greatest things I have ever seen at the National Trust: an honesty box for sherry. Yes, you read that correctly. 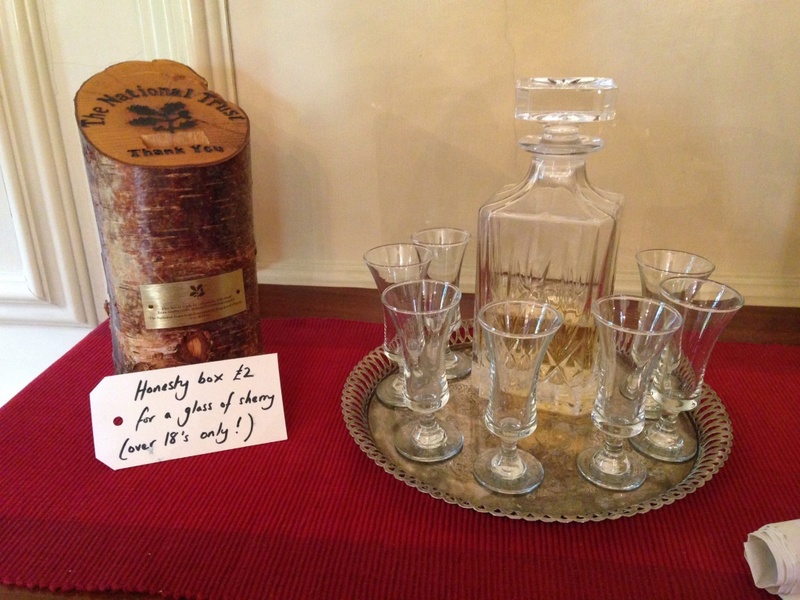 You are encouraged to put £2 in the box and pour yourself a glass. You can then sit on the sofa and pretend to be Noel or Kathleen Terry. What a brilliant idea. 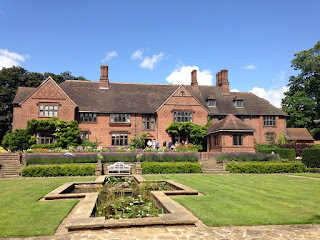 You can also pretend that you own the place in the garden - there are tables and chairs where you can sit and drink your tea/eat your scones and say things like "we really ought to ask Jenkins to cut that laburnum back". It's beautiful. The tea room is actually in the old dining room overlooking the garden AND they have table cloths and waitresses. It is without doubt one of the nicest National Trust tea rooms in existence. I would still be sitting there now if I could. The Goddards scone was one of the finest National Trust scones I have ever tasted. It was perfect. It was the ideal size, it had a slightly crunchy exterior but was soft as anything inside, and it was delicious. Today's successful mission means that York has overtaken Suffolk as the epicentre of National Trust scone excellence. I had my never-ever-to-be-forgotten Christmas pudding scone at Treasurers House back in November, and my second scone today (don't tell anyone) at Beningbrough Hall was a roaring success too. So head to York, everyone. They might not make Chocolate Oranges anymore but they made top class scones. The Scone Sidekick has a workmate who lives in Slough. A few years ago, this workmate went on holiday for a week, travelling 100 miles or so down to Dorset. While he was there, he decided to go on one of those magical mystery coach tour things. Don't ask me why - I for one have never found that there is anything remotely magical about getting on a coach, never mind getting on a coach when you don't know where it's going. But each to their own. Anyway - Scone Sidekick Workmate ended up on a magical mystery tour that took him to Windsor Castle for the day, which is all very lovely but it's roughly 2 miles from his house in Slough. 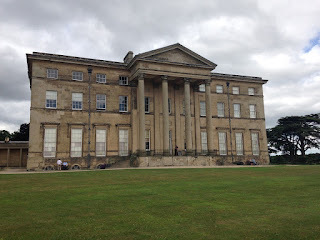 This tale has a very tenuous link with my visit to Beningbrough Hall near York today. Beningbrough's claim to fame is its partnership with the National Portrait Gallery, which means that the NPG regularly lends Beningbrough works of art to display on their extensive walls. 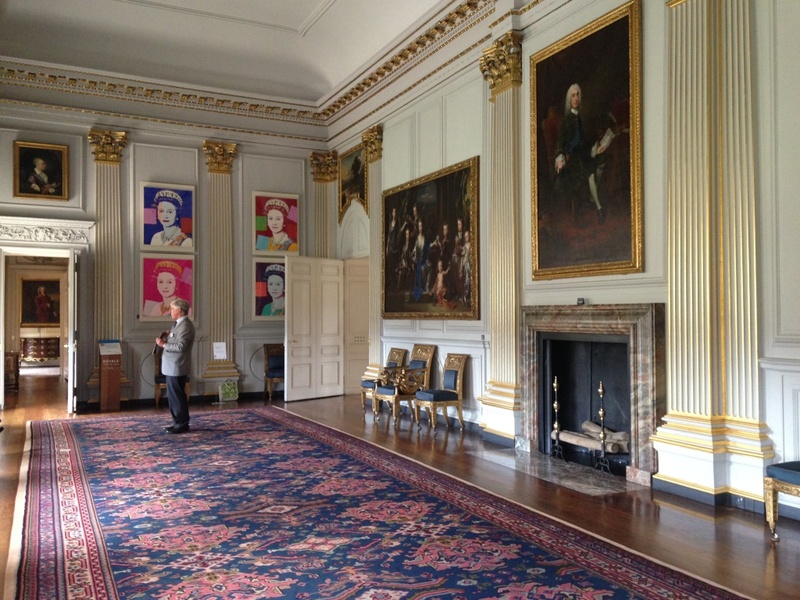 This is an undoubtedly brilliant idea and very wonderful for Beningbrough and the people of York, who get to share some of the nation's artworks without having to schlep down to London. However, I work near the National Portrait Gallery and can access their entire collection every day of my life - my favourite picture is the one of Bobby Charlton. 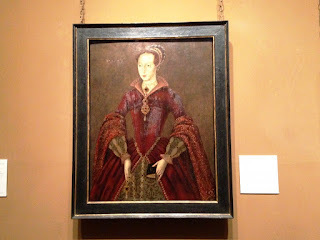 But of course I don't go to the National Portrait Gallery every day of my life. 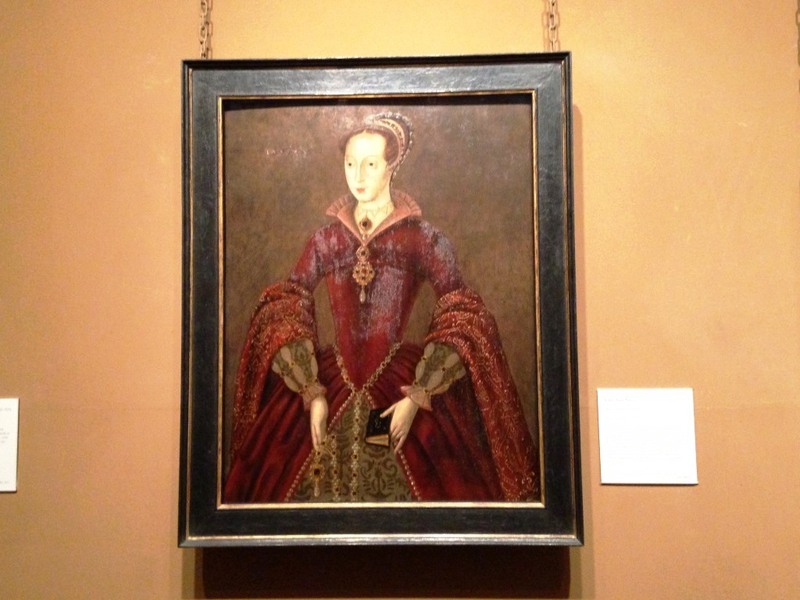 In fact, I last set foot in the National Portrait Gallery in 2006. Bobby Charlton has probably been replaced by Jedward. I should be ashamed of myself. So I swallowed my 'I could see this anytime' snobbery and had a very lovely time looking round Beningbrough Hall. Beningbrough has my most favourite thing in the world: an audio guide. It provided a lot of background about the rooms and the art that you can see throughout the house. I realised pretty quickly that the partnership with the National Portrait Gallery isn't just a random 'what can we send them this week?' affair. 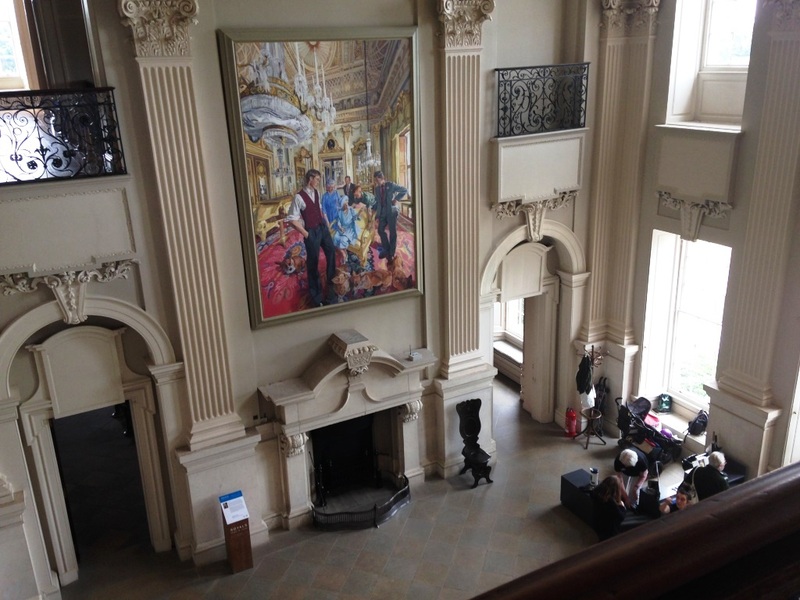 Many of the artworks on display are in keeping with the history of the house. 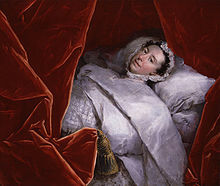 My favourite piece of art, however, was in Lady Chesterfield's bedroom. 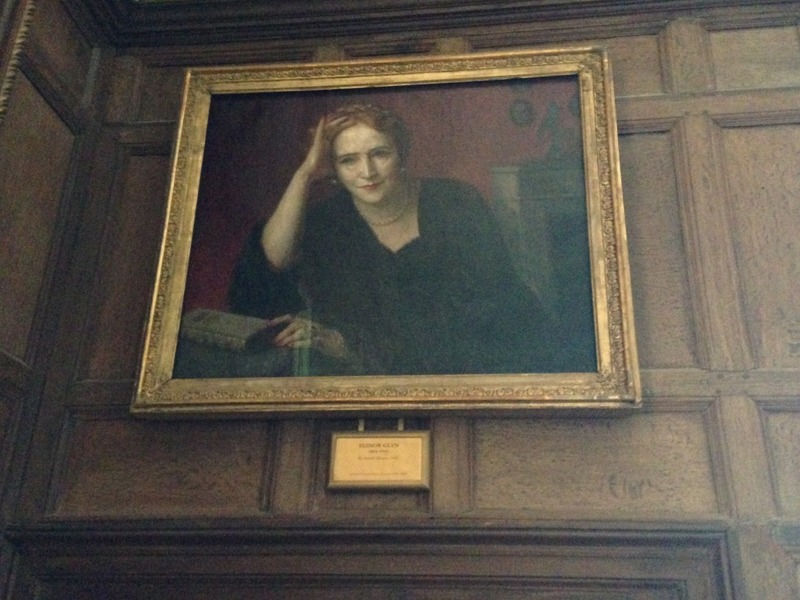 Right next to the bed is a picture of Margaret Woffington, the Irish actress, from the 1700s. It stopped me in my tracks because it shows her lying in bed looking very sick - and it turns out that she had indeed collapsed and was paralysed. Not the most cheery of pictures to have in your bedroom, it must be said. 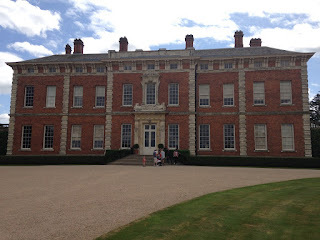 Beningbrough was the 89th stop on the National Trust Scone Odyssey and the third property I had visited in York. I had had one of the greatest National Trust scones of all time at Treasurers House back in November - when most people hear Nat King Cole singing Unforgettable, they think of their husband or wife; I think of the Christmas Pudding Scone at Treasurers House - and today I also fitted in a trip to Goddards, home of Noel Terry of Chocolate Orange fame. 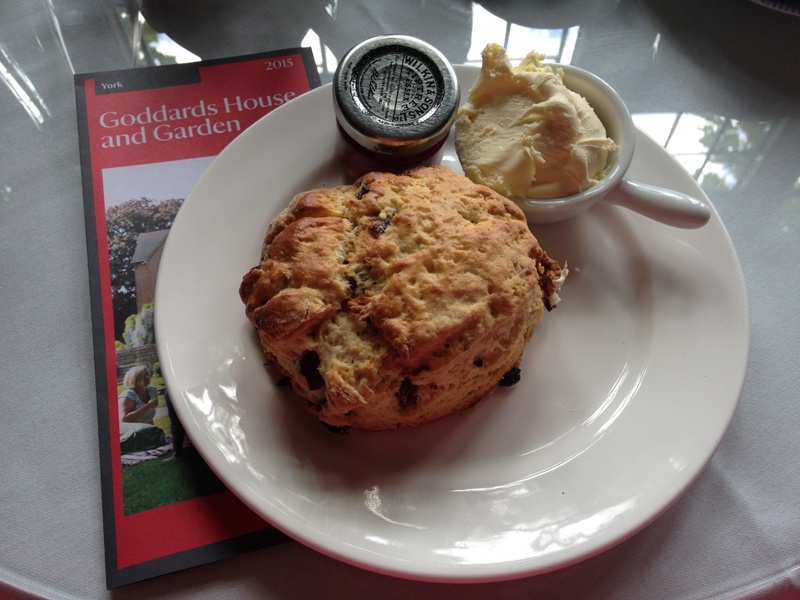 The Goddards scone was fantastic too. Could Beningbrough secure the hat-trick for York? Well, yes it could and yes it did. 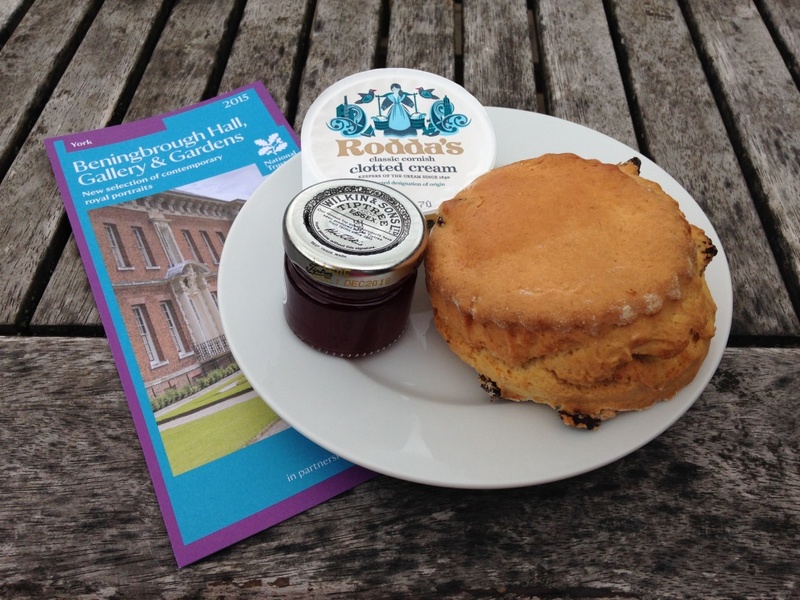 The Beningbrough scone was delicious. It was fresh and soft inside, with a slightly crunchy exterior. It was the perfect size too. A triumph. I've been thinking and I may have been a little hasty in my dismissal of magical mystery coach tours. This could be a real money spinner for the Scone Blogger. I could buy myself a bus and run mystery scone trips to National Trust properties. You're all invited but can I advise you to only come on the National Trust Mystery Scone Tour once, as I am famously bad at directions and so I will probably just keep going back to the same place every week and hope nobody notices. Thank you all! 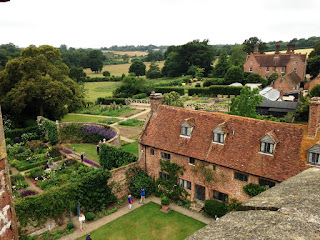 If you've ever thought that it would be a really good wheeze to live in a National Trust property, you should read Adam Nicolson's book, Sissinghurst. Adam's family owned Sissinghurst Castle for many years - he is the grandson of Vita Sackville-West - before they handed it over to the National Trust in 1967. Adam's father, Nigel, died in the house in 2004 and Adam helped the undertakers to cover the body with a blanket and carry it on a stretcher to a car outside the building. A man suddenly appeared and approached Adam. The man asked if the house was open. Adam, still assisting with loading his father's corpse into the hearse, said no, that it was always closed on Thursdays and they had things going on today. The man persisted, saying he had come all the way from Milan, could he not just have five minutes to see the gardens? I don't know about you, but my jaw was dropping as I read that tale. It may be a rather extreme example of the downsides of life in a National Trust property but it's a sobering reminder of how your home, and to some degree your life, are not your own. You are a tourist attraction. 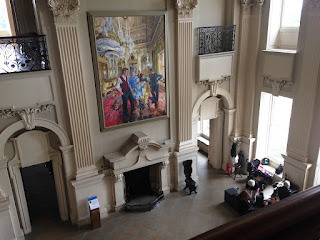 And before anyone gets in touch saying "THESE PEOPLE GET TO LIVE IN STATELY HOMES FOR FREE SUBSIDISED BY THE £4.95 I HAD TO PAY FOR A BOWL OF LEEK AND POTATO SOUP THAT HAD NO VISIBLE LEEK IN IT WHATSOEVER. WE SHOULD HAVE THE RIGHT TO LOOK INSIDE THEIR WARDROBES IF WE FEEL LIKE IT" I know that there are many sides to the matter. I just think it must be quite...weird. Their head gardener, John Vass, worked for them from 1939 to 1957 and was followed in 1959 by Sibylle Kreutzberger and Pam Schwerdt who remained until 1990! Vita died in 1962 - she wrote to Harold in 1961; "We have done our best and made a garden where none was." I have admitted before that on a scale of 1-10, my interest in gardening hovers around the 1 mark, but even I will concede that the gardens at Sissinghurst are phenomenal. Vita had her study inside the tower and it's been preserved as she had it. It's beautiful - crammed full of books and furniture, it looks like the cosiest room on earth. We then wandered around the gardens. My favourite was the White Garden, which was the last one to be completed. I couldn't stay in there long, because I unfortunately heard myself saying things to the Scone Sidekick like; "This is such a simple idea! Lots and lots of white plants! 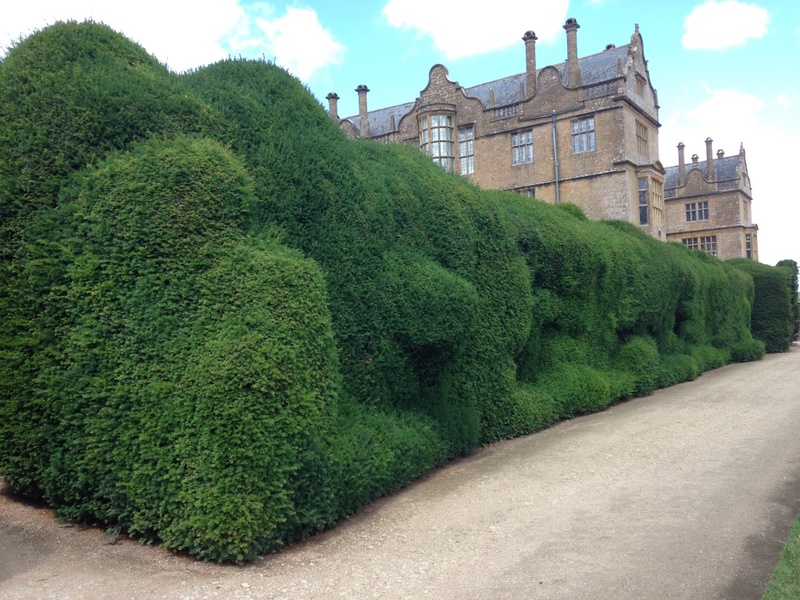 It must be easy to grow a hedge like that?! I could do this! ", which meant that it was time to leave. I have zero patience, I have little artistic vision, and I don't like mud. Gardening is not for me. There is also a Rose Garden, a Spring Garden, the Cottage Garden, the Herb Garden, the Moat Walk (full of azaleas), and the Orchard. 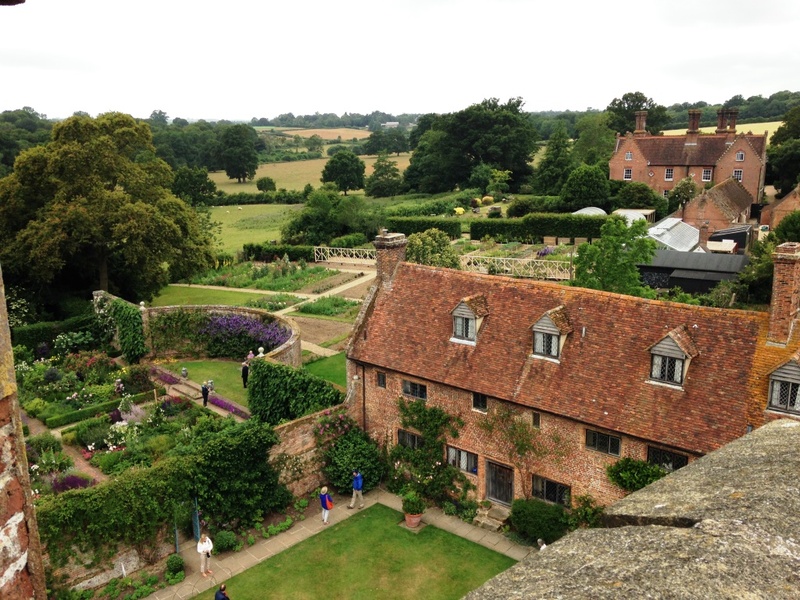 The guidebook tells us that the Sissinghurst gardeners have a a fierce commitment to maintaining the ethos of the place, as Vita and Harold had set it out. For example, there is only one rhododendron in the Delos area, because Harold once explained that "rhododendrons are to us like large stockbrokers whom we do not want to have to dinner." Which seems fair enough. Sissinghurst was my 87th National Trust scone visit, so you'd think that I'd know the ropes by now. But no. The tearoom nearest the car park had about four tables in it and although it didn't feel right, they had scones and that's all I was really bothered about. Of course, anyone with half a brain would know that four tables isn't really enough to cope with the 180,000 visitors that Sissinghurst apparently gets each year. Sure enough, around the corner was a huge restaurant - the same restaurant that Adam Nicolson talks about in the book that he wrote (and the book that I read). 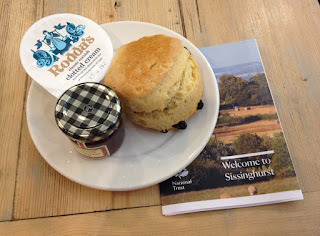 But it's all immaterial because the Sissinghurst scone was stunning. It looked perfect, it was fresh as could be, and it tasted fantastic. Top marks. I loved Sissinghurst. The only bad thing is that you really need to see it at least 6 times a year to appreciate the effect of the changing seasons on the different areas of the garden. But that's not really a bad thing. I'll finish by recommending Adam Nicolson's book, Sissinghurst - An Unfinished History. It's a fascinating account of how one family tried to influence the development of a National Trust property and the issues that arose. 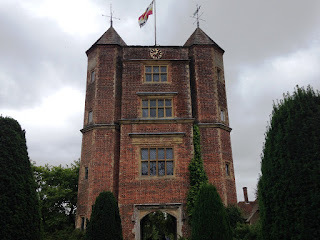 In the end, it seems that living at Sissinghurst just became too much of a hassle - some of their reasons for leaving are highlighted in this interview. But it's a lovely place and it has superb scones - I highly recommend it. There is nothing I like more than a really amazing National Trust factette. The kind of factette that just stuns you - "Blahdiblah Hall is a fine example of Palladian architecture with gardens by some of the greatest landscapers of the 18th century, and it was the birthplace of David Bowie." That kind of have-to-read-it-five-times-just-to-be-sure-you-read-it-right factette. And so I was reading about Attingham near Shrewsbury and there it was: Thomas, 2nd Lord Berwick, was the owner of a working model of Vesuvius. A working model of Vesuvius. If I made a list of all the things in the world I wanted, a working model of Vesuvius would be 28,237th, just after Megadeth concert tickets and a harpoon. HOWEVER. 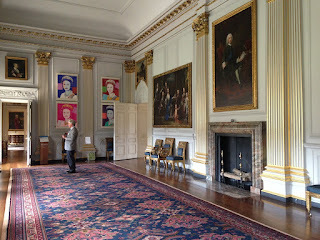 What I HAVE really wanted for ages is to visit a National Trust property with an smartphone app - and Attingham has one. Let me quickly explain for anyone that doesn't have a smartphone; an app is a bit like a miniature website. You download it onto your phone and it displays all sorts of information on your chosen subject. I do my grocery shopping on an app. I run my bank account on an app. I time myself trying to run off all these scones on an app on the rare occasions that I drag myself out jogging...you get the idea. It's a huge place and the Trust is trying laudably hard to tell its story. The ground floor has been restored to its 18th century glory, although the picture gallery is being renovated so we didn't get to see that. 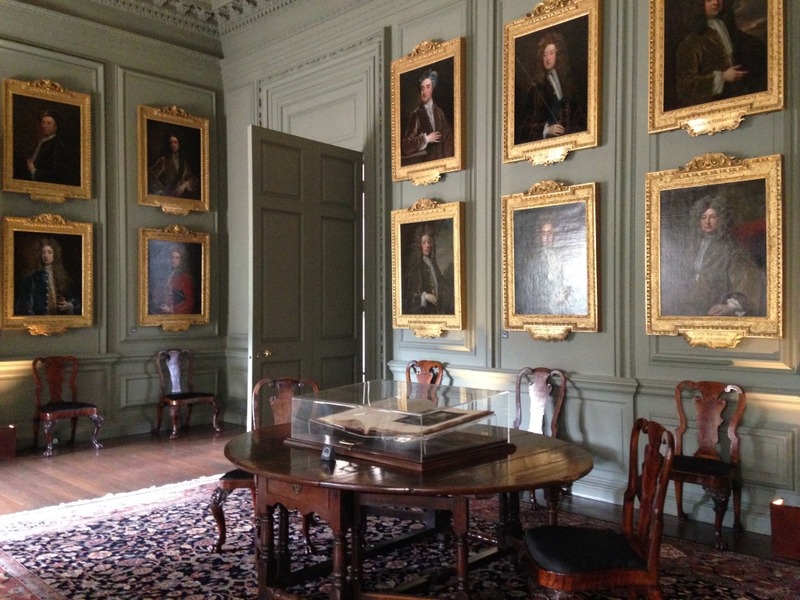 The first floor contains a series of relatively empty rooms that try to explain how Sophia, the courtesan, and Teresa, the war nurse, would have viewed the place and how it would have worked as a centre of education. The servants' area on the lower-ground floor is enormous. We got caught up in a tour given by a man pretending to be Thomas, 2nd Lord Berwick. He was very entertaining and walked us through a few of the rooms pointing out some highlights. If we were supposed to have paid for this, I am very sorry. I never, ever look at the laminated information sheets at National Trust properties and I really should, because I discovered today that they're very informative. 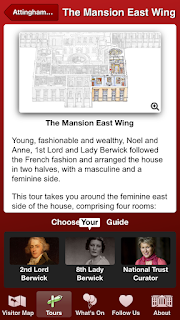 The app is still in its trial stages and is only available for the East Wing. You choose one of three guides (Thomas, Teresa, or an NT curator) and then you click through each room and read the information. In each room there are four or five highlights - a picture or musical instrument or music box of a monkey conducting an orchestra - and each one is explained. 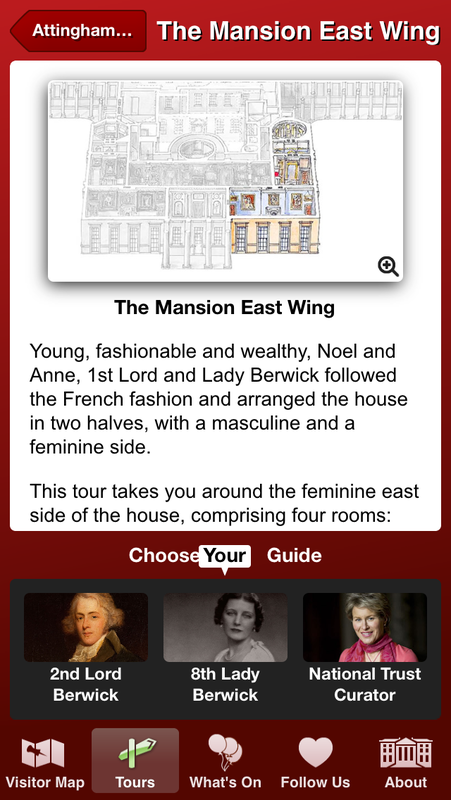 I have to say; if I was asked to design an app for a National Trust property, this is probably how I would do it. The choice of three guides is a bit tricky because you need to go back and do the same route three times to see them all, but I'm sure they'll iron that out. HOWEVER. Neither the app, nor the human guide, nor the laminated sheets will ever beat my old favourite, the audio guide. I think I will probably have an audio guide at my funeral - I just love them. And yet very few properties do them - I remember one at Petworth, at Waddesdon, at Osterley, and a fantastic one at Lyveden New Bield. It's a shame that they're so rare as they allow you to look and listen at the same time. Anyway, having been very honest about the app, I will now be equally as honest about the scones. 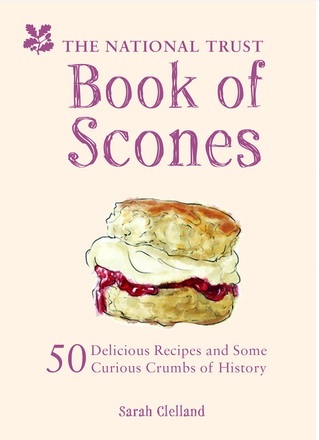 Regular viewers will know the Scone Blogger's Theorem: the more popular the property, the poorer the scone. Wakehurst and Cliveden are both in the top ten most visited NT properties and yet both served sub-standard scones. 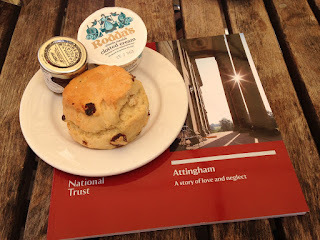 And although the scone at Attingham was alright, it didn't feel like very good value for money when compared to other properties - the cream tea today cost £4.95, which is one of the most expensive we've had, and it came with one medium-sized scone. 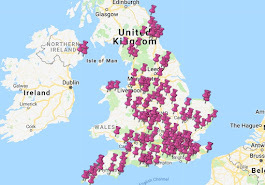 You can see all my 70-odd National Trust scones here if you want to compare. Attingham is the fourth most popular NT property, with over 370,000 visitors last year, and I expected better if I'm very honest. But it tasted OK and the tea was lovely.